Bite-sized online training resources are easier to digest and remember. But is microlearning really a good fit for your online training program? In this article, I’ll explore the benefits and drawbacks of corporate microlearning. Microlearning involves brief bursts of information that focus on a specific topic or task. As a general rule, corporate learners are able to complete the online training activity or module in just a few minutes, instead of sitting through long lectures or presentations during a traditional online training session. However, is this truly the best solution for your remote employees? Here are the most notable pros and cons of taking the corporate microlearning route in online training. Employees are able to access small bits of information instead of having to consume large quantities. This helps prevent cognitive overload so that they can absorb and assimilate the key takeaways. They’re able to get the skills and knowledge they require to overcome the current challenge and then move onto the next. Microlearning doesn’t overburden the working memory, which can only hold a finite amount of information. Therefore, the brain is able to process the data and connect it to preexisting knowledge. This ties into the first benefit, as a reduction in cognitive overload leads to an increase in knowledge retention and recall. Employees are more likely to remember what they’ve learned because they have the opportunity to reflect on and evaluate the information. They can see how it connects to real-world applications and put it into context. As a result, microlearning defies the “forgetting curve,” especially when it’s used as a reinforcement tool. Microlearning is ideally suited for “just in time” online training due to the fact that it’s bite-sized and easily accessible. More importantly, it’s topic centered. Each microlearning online training resource focuses on a specific topic, task, or learning objective. There isn’t time to cover too much information, just the essentials. However, you should consider creating mobile-friendly microlearning materials for modern corporate learners. They need to be able to access online training tutorials, simulations, and videos whenever, wherever. Employees get the information they need quickly and conveniently. As such, they are able to troubleshoot problems, overcome obstacles, and broaden their knowledge. This translates into improved engagement and motivation, as the microlearning online training experience offers them real-world value. Not to mention, it takes short attention spans into consideration, which prevents employee boredom and minimizes distractions. All the aforementioned benefits lead to one very important perk: reduced corporate training cost and time. Employees have the opportunity to focus on their performance and skill gaps. Thus, they improve workplace productivity more rapidly and efficiently. Your staff can immediately apply what they’ve learned to complete tasks and carry out their job responsibilities. 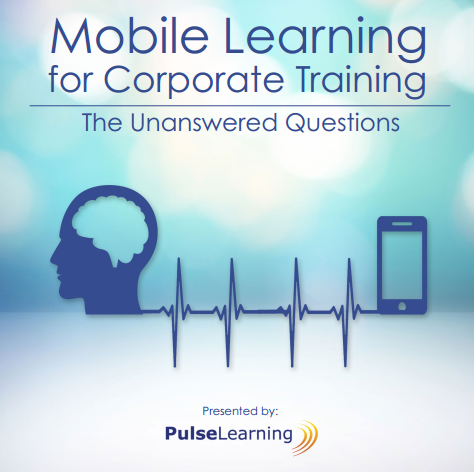 Corporate microlearning is intended for easily digestible online training topics and tasks. Thus, it’s not necessarily a good fit for more comprehensive coursework, such as complex online certification programs or compliance topics. That being said, you can still use corporate microlearning resources to supplement these online training courses. For example, create “just in time” microlearning objects to reinforce the key takeaways and improve comprehension. Bite-sized online training resources can be likened to puzzle pieces. They provide your employees with a small amount of information, but they don’t necessarily give the overall picture. Thus, it’s relatively easy to end up with fragmented or disorganized online training experiences that are seemingly disconnected. You can avoid this common pitfall by creating corporate microlearning units that support their own learning objectives. For example, a brief online training tutorial should explore each step of the process and include the relevant skill sets. It doesn’t need to delve into every subtopic or task, but you should give employees a clear understanding of what’s involved and how to apply the information. Reflection and assimilation are two crucial steps in the learning process. For this to happen, corporate learners must be able to connect new ideas to preexisting knowledge. If corporate microlearning online training resources seem disjointed, employees aren’t able to build on their current knowledge base nor see the connection. Fortunately, you can facilitate assimilation by incorporating real-world applications and knowledge refreshers. For instance, providing a microlearning simulation that requires employees to use skills and information they’re already familiar with as a knowledge refresher. Long-term goals are multifaceted as there are a variety of steps, tasks, and skills involved. As such, they aren’t the best fit for corporate microlearning. However, you can still use bite-sized microlearning online training resources to make the milestones more manageable. For example, providing microlearning online training tutorials that help employees improve their skill sets or focus on a specific certification topic. One of the best ways to incorporate microlearning online training resources into your corporate eLearning strategy is to build an online resource library, not literally of course. A microlearning online training repository makes it easy for your employees to access the online training materials. Break the library into categories so that employees can quickly find what they’re looking for. Include relevant links to external microlearning online training resources as well. The goal is to make it as convenient as possible to brush up on skills and build professional knowledge. You can even invite corporate learners to develop online training resources on their own and then share them with their peers. This helps them gain experience and improve their understanding, and you get to expand your repository in a fraction of the time. Microlearning may not be the best choice every time. However, it may bring a variety of benefits to your corporate learners. The key is knowing when to offer your remote employees bite-sized online training resources, and when to give them a heaping helping of online training. Have you tried mobile learning yet? PulseLearning is an award-winning global learning provider who understands the need of accommodating mobile users. PulseLearning can assist you in developing a mobile learning strategy that will provide your learners with flexibility and greater convenience.